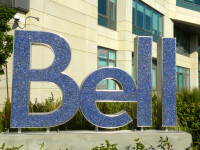 Bell’s defeat this week at the Federal Court of Appeal over its MobileTV service marked the second high profile regulatory loss in recent months for Canada’s largest communications company. Last month, the government rejected Bell’s cabinet appeal of a CRTC decision on broadband infrastructure. The CRTC ruling means that companies such as Bell will be required to share their fibre networks with other carriers on a wholesale basis.